Forget about putting on the mask while doing manicure once and for all. This nail dust collector is equipped with 60W strong power fan and runs on a powerful yet quiet engine. Nail dust vacuum may need to run as long as you are doing a manicure or a pedicure. 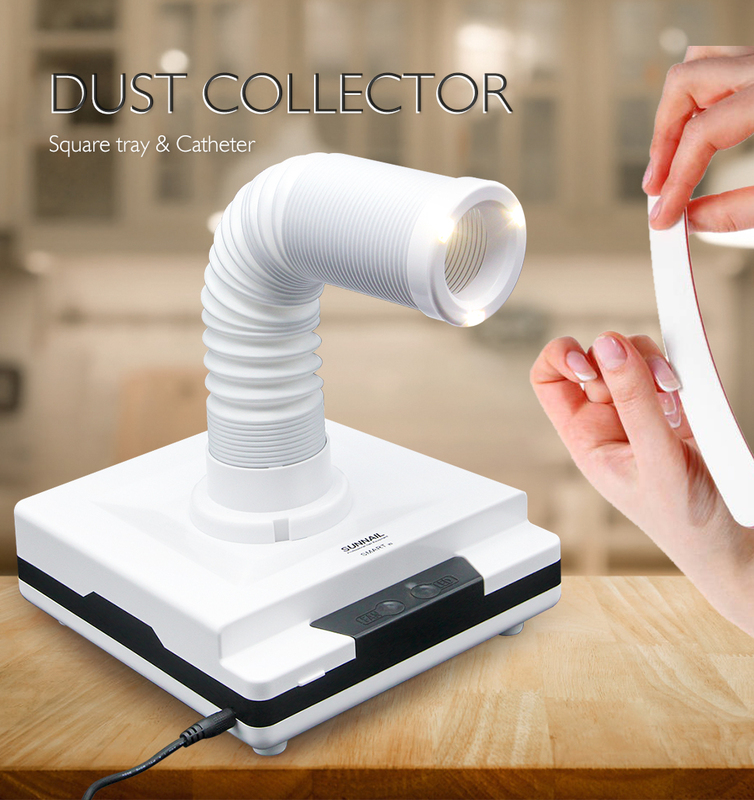 That’s why you should consider only the best nail dust collector, such as this one that has proper ventilation on the device, to avoid overheating. It can be used in two different positions: with a square tray or stretchable tube that’s also provided. What is great about our nail dust collector vacuum is its filter screen which is easy to replace and can be cleaned and used repeatedly. The stretchable tube with 3 LEDs, helps you view your nails carefully and clearly.